Please note: Naza-M Lite is not compatible with Naza-M V2 PMU or BEC/LED. Introducing the all new..
BTU Module The Naza-M now provides assistant software for iPhone4s, iPhone5, iPad3, iPad4, iPa.. 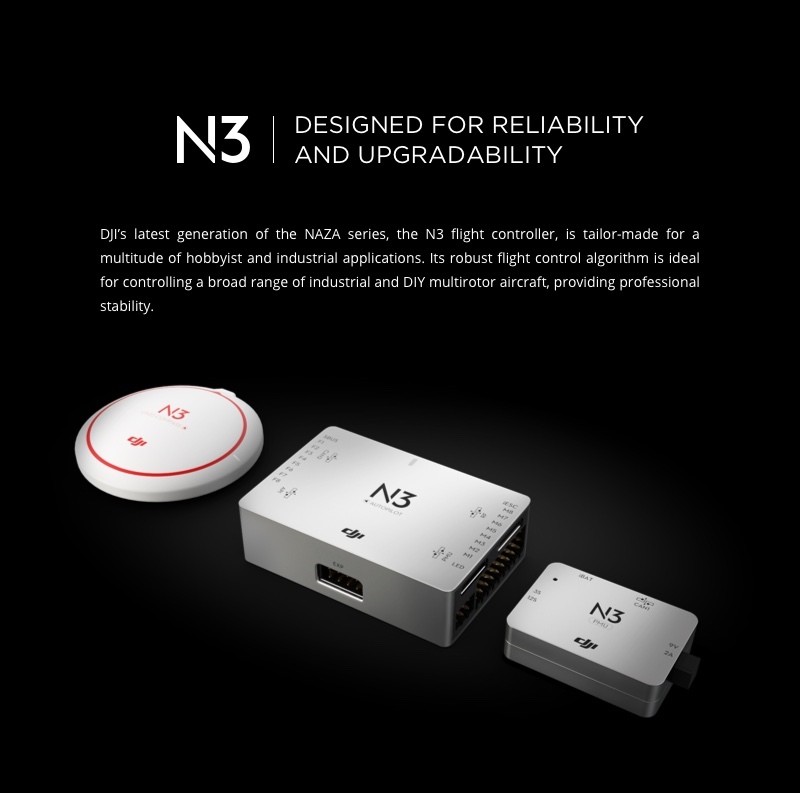 The N3 flight controller is compatible with professional remote controllers and receivers, DJI’s Intelligent ESC, DJI GO, Lightbridge 2, Datalink Pro and iOSD. 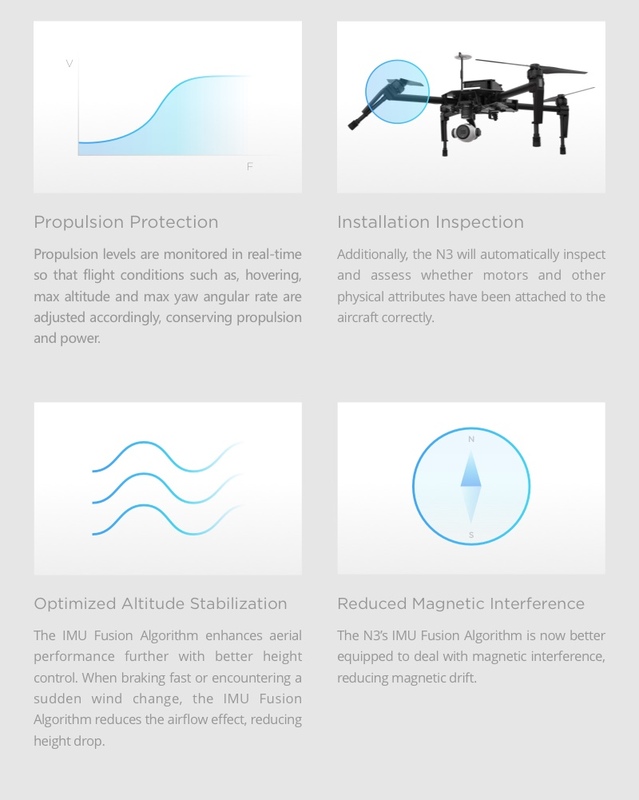 It also integrates seamlessly with DJI’s Zenmuse series of gimbals and cameras, providing instant access to a whole host of flight applications. 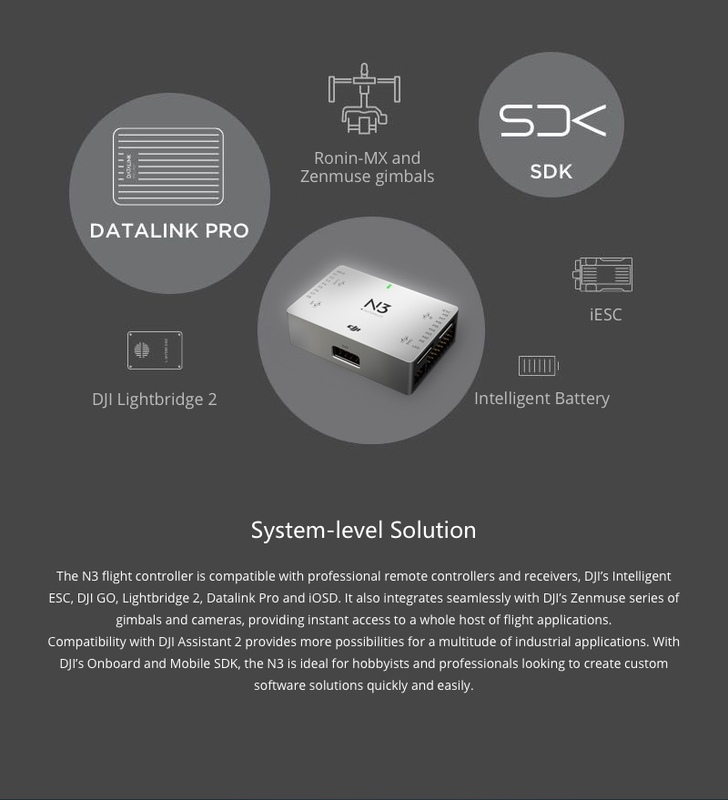 Compatibility with DJI Assistant 2 provides more possibilities for a multitude of industrial applications. 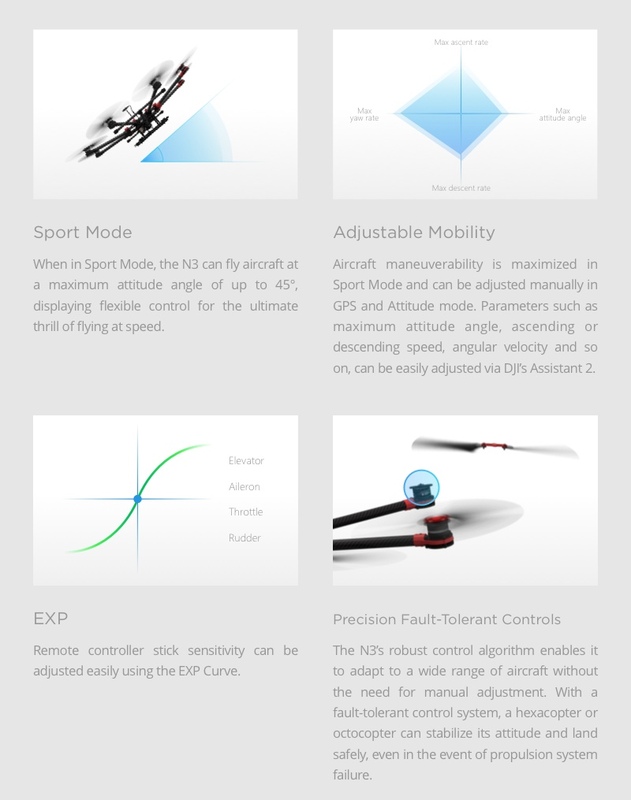 With DJI’s Onboard and Mobile SDK, the N3 is ideal for hobbyists and professionals looking to create custom software solutions quickly and easily. 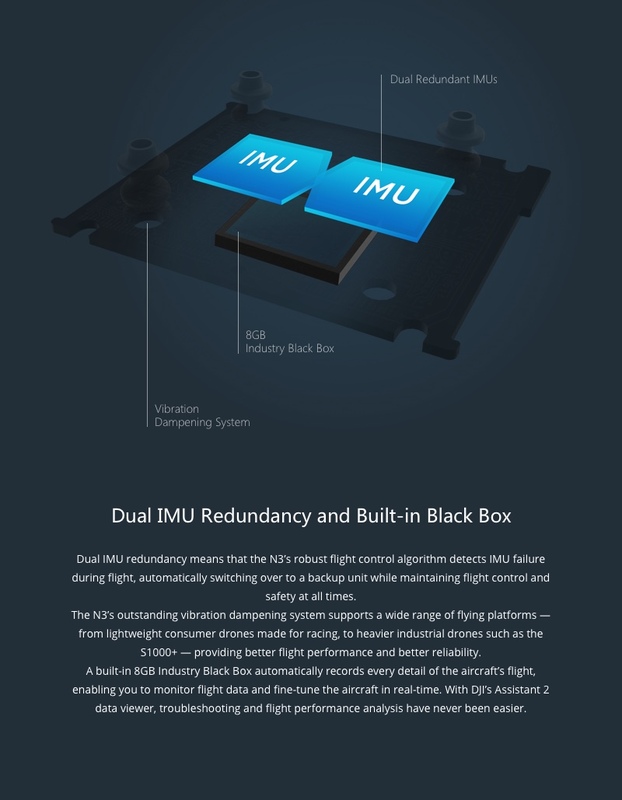 Dual IMU redundancy means that the N3’s robust flight control algorithm detects IMU failure during flight, automatically switching over to a backup unit while maintaining flight control and safety at all times. 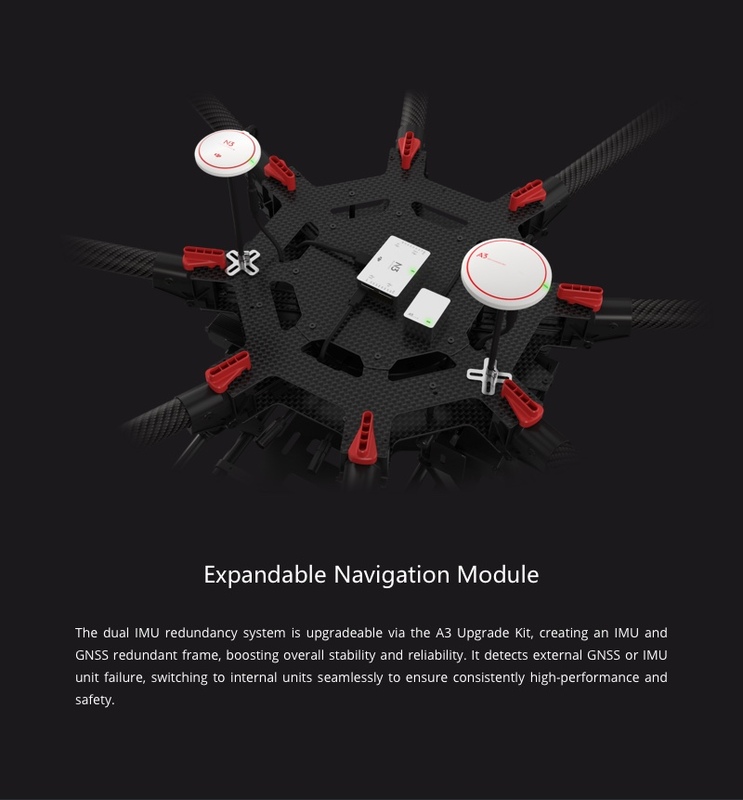 The N3’s outstanding vibration dampening system supports a wide range of flying platforms — from lightweight consumer drones made for racing, to heavier industrial drones such as the S1000+ — providing better flight performance and better reliability. A built-in 8GB Industry Black Box automatically records every detail of the aircraft’s flight, enabling you to monitor flight data and fine-tune the aircraft in real-time. With DJI’s Assistant 2 data viewer, troubleshooting and flight performance analysis have never been easier. 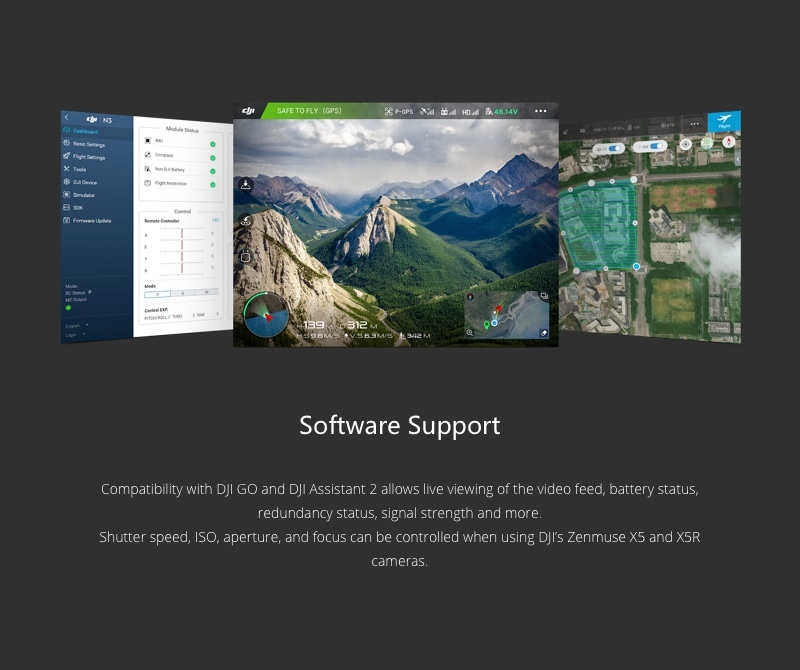 Compatibility with DJI GO and DJI Assistant 2 allows live viewing of the video feed, battery status, redundancy status, signal strength and more. Shutter speed, ISO, aperture, and focus can be controlled when using DJI’s Zenmuse X5 and X5R cameras.